Integrated Pest Management (IPM) is an effective and environmentally friendly approach to pest management. An Integrated Pest Management plan incorporates control measures and control options. These controls keep pests from causing significant issues, with reduced risk to a person’s health and the environment. IPM is a flexible and dynamic strategy, which needs regular updating as information is received from management practice results. Cultural control – Managing the environment to discourage pest establishment. Biological control – Natural predatory insects that help in managing insect pests. Chemical control – Used when biological and cultural control is unsuccessful. Specific insecticides are chosen to target the pest, leaving the beneficial population unharmed. IPM uses natural predators to control pests. By using information on pest life cycles. It also takes into account its interaction with the environment. Through this, effective, economical and environmentally friendly pest control methods can be chosen. Specific pesticides are used to compliment IPM, when pests are unable to be controlled by these other means. IPM does not discourage using chemicals rather it promotes spraying with specific pesticides required to ensure more effective results. With time, a pest species can begin to develop resistance to particular pesticides. These pesticides can also kill the natural enemies of pests that control the pest population. By using IPM, less pesticides are used, and the results are just as effective. At what point does the Pest infestation require intervention? Seeing a single pest doesn’t necessarily mean that control is always needed. Accurately identifying a pest and tracking its population and behaviour allows you to know when action thresholds have been reached. From here, appropriate control methods can be chosen. It is important to remember many weeds and insects that are considered ‘pests’ can actually be harmless. Some can even be beneficial, and do not need to be controlled. Proper monitoring and identification can help reduce the risk of using the incorrect pesticide. In certain situations, using pesticides can be unnecessary as other strategies will be more effective. It is important to try to prevent pests from becoming a threat. Prevention is often effective as well as cost-efficient. It can reduce the risk to people and the environment. If monitoring, identification and action points indicate that pest control is necessary, and prevention methods are unsuccessful, it is important to evaluate control options. IPM prioritises the low risk options (the least risk to the environment and human health). Trapping, weeding or using targeted chemical controls (e.g. pheromones) to stop reproduction are great examples of this. If monitoring shows that these methods are not effective, pest control methods such as pesticide spraying should be used. Spraying of non-targeted pesticides should only be considered if all other measures have been unsuccessful. Adoption of IPM strategies are important. Users of IPM benefit through sustained development, increased productivity and reduced pest damage. The options that IPM offer leave sole reliance on chemical controls in the past. By incorporating IPM programs and management strategies, everyone benefits through a healthier environment in the long term. A sustainable, environmentally friendly pest management solution. Protects the non-pest species with a reduced impact of pest management activities. IPM is designed to be a sustainable, cost effective, environmentally sound and socially acceptable method of managing pests and weeds. The use of Pesticides in IPM Programs and Managements Strategies needs to be left to the experts. 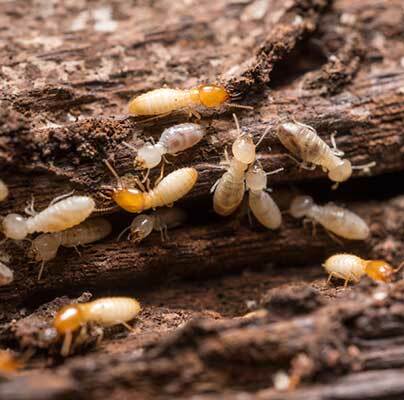 To effectively manage pests, it is important to have regular inspections from someone who specialises in pest control and management solutions, which will help manage pests in the long and short term. Hitman Pest Control offer Professional Pest Control services in most residential areas throughout Brisbane, the Gold Coast and the Sunshine Coast. Hitman even specialise in environmentally friendly pest extermination solutions. Don’t let pests lay claim to your property; Hire a Hitman Today!